‘My conscience is clear’. ‘The army as a whole, I can give the assurance that we never committed war crimes”. . . . . Brave, not to say fighting talk from Sarath Fonseka in an interview feature in the UK Guardian published today. Simply ascribing the crimes committed by the Sri Lankan military in the final stages of the civil war to the acts of ‘individual offenders’, as he does here, is at best delusional on Fonseka’s part, at worst a case of being knowingly ‘economical’ with the truth. 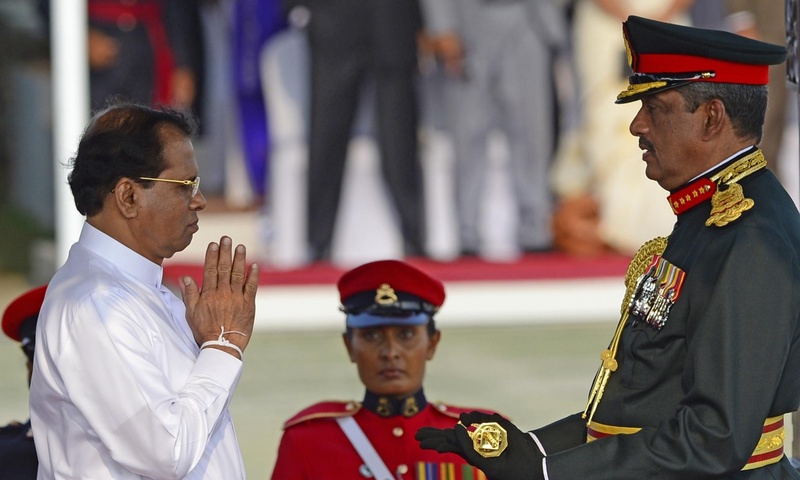 Overall, the irresistible force of international human rights focus on the final stages of Sri Lanka’s bloody civil war looks to be on course for continuing confrontation with the irremovable object of Colombo’s steadfast official refusal to come to terms with, less still address, what really happened in the North in 2009.